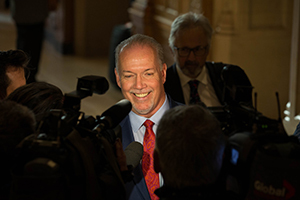 WHITEHORSE, July 22, 2016 – Today, Premiers discussed the significant impact of natural disasters on Canadians and their communities, disaster response and the subsequent recovery process. Recent events across Canada have underscored the need for strong and coordinated systems for disaster mitigation, preparedness, response and recovery. 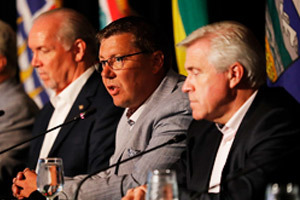 Premiers discussed the need for the federal government to recommit to its critical and stabilizing role in these areas. Disaster events do not necessarily occur in equal frequency or severity in each province or territory, and clustered events have the potential to put immense strain an individual jurisdiction’s fiscal capacity. 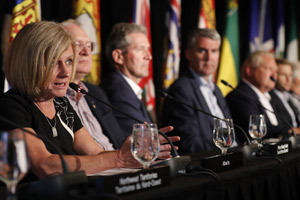 Premiers agreed that the federal government’s current approach to disaster response and recovery does not stabilize impacted jurisdictions or address the increasing frequency of extreme weather events related to climate change such as wildland fires and floods. 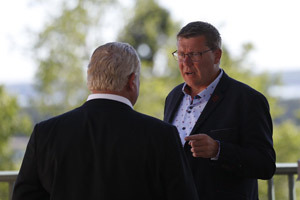 Premiers directed their Ministers responsible for emergency management to collaborate to develop a new model for disaster response and recovery and to work with the federal government to create a modernized Emergency Management Framework for Canada. improve federal disaster assistance for replacement infrastructure built to a more resilient standard. 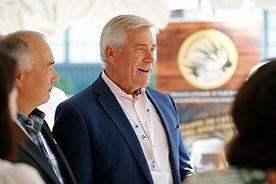 Premiers also discussed the National Disaster Mitigation Program and the importance of prevention in avoiding substantive disaster recovery costs down the road. They urged the federal government to increase its financial commitment to preventing disasters, noting that that $40 million a year for five years for the whole country is not adequate to meet major high-priority flood protection needs across Canada. They stressed the need to increase the funding for the program and expand the scope to cover other catastrophic events such as wildland fires, ice storms and landslides.